Thermostat must be checked regularly to make sure it work properly. Thermostat can be malfunction after years by years depending on the cooling system condition. Some people do flush and service the radiator twice a year and the thermostat should be last longer. Debris and rust are the main factor that cause jammed thermostat. Here I want to show you on how to test the thermostat. 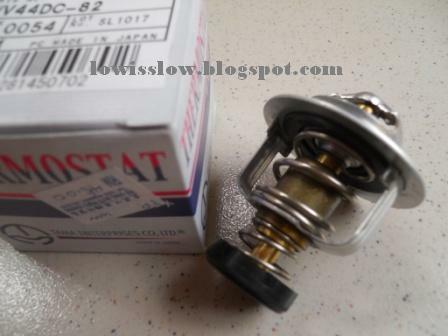 This is a new thermostat for my Perodua Kancil, marked with 82 degrees C on it. The thermostat valve is close when cold. Put it into the pan filled with water and start boiling it on the stove. 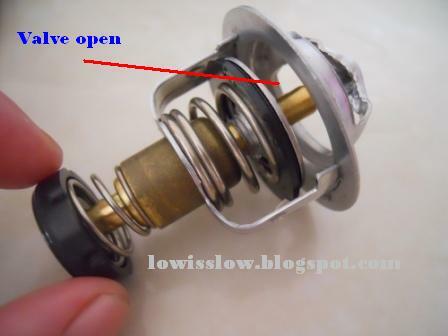 If you have cooking thermometer drop it there so you can see at what temperature the valve open. I don’t have thermometer so I can’t show you that, very sorry guys. 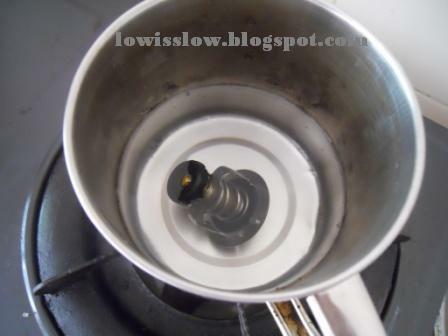 When the water starts boiling, the valve slowly opens. Its mean that, the thermostat in good conditions. If the thermostat did not open or keep open, replace it as soon as possible. 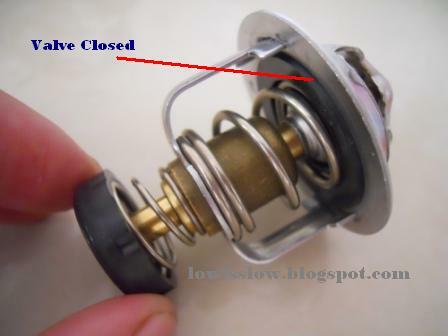 Click HERE on how to replace thermostat. Don’t just because of this small and couple of bucks part you lost thousands of Ringgit. Look at picture below, before and after. Great post. Very informative. Keep up the good work. boss..previously my car engine overheat..send to workshop and founded thermostat was faulty already..foreman just take out and throw it...he advise no need to use it..
Thermostat is a horrible thing for me! I learnsmmwithme and I don't know about such things in the house. I don't know how exactly to fix it.